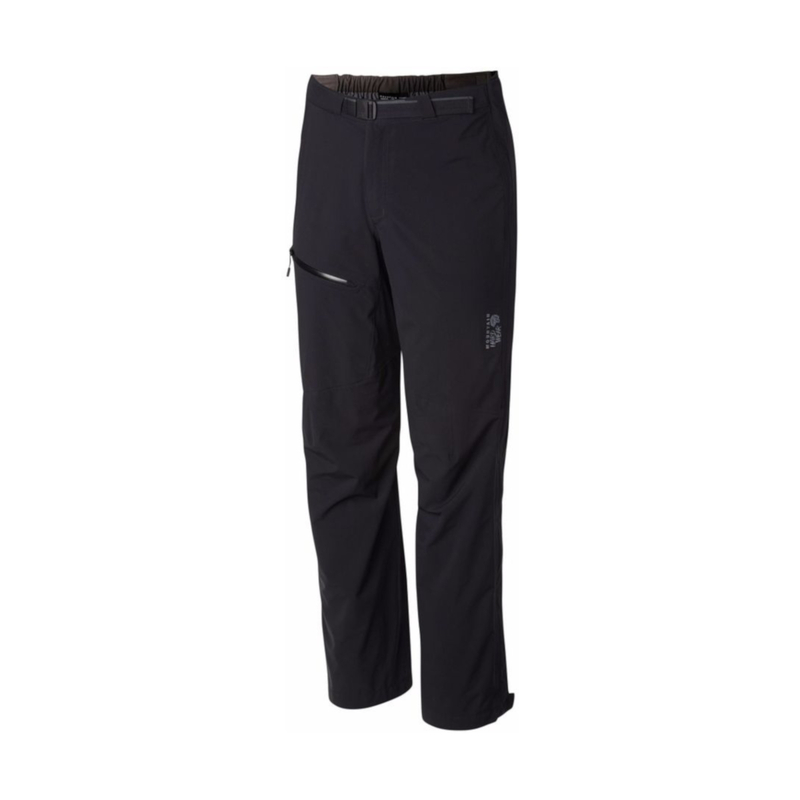 The Mountain Hardwear Stretch Ozonic Pants are lightweight waterproof trousers for hiking, backpacking, trail running and any other wet-weather activity you can think of. The Mountain Hardwear Stretch Ozonic Pants are made from Mountain Hardwear’s Dry Q Active fabric, which is fully waterproof and breathable, as well as being super-light so they can be stashed in your pack for emergencies. Dry Q Active also has four-way stretch, which ensures the best mobility, whether you’re running through a storm or scrambling up an approach. Other useful features of the Stretch Ozonic Pants include full-length side zips, boot fastenings, an elasticated, adjustable waistband with an integrated belt and enhanced articulation in the knees. Mountain Hardwear’s Dry Q Active is a lightweight waterproof and breathable fabric designed for movement during intensive sports like trail running, hiking and ski touring. As a 2.5-layer shell, it consists of a waterproof and breathable membrane combined with ultra lightweight, stretch fabrics, which results in the weather-protection of a hard shell and the stretch and breathability of a base- or mid-layer.